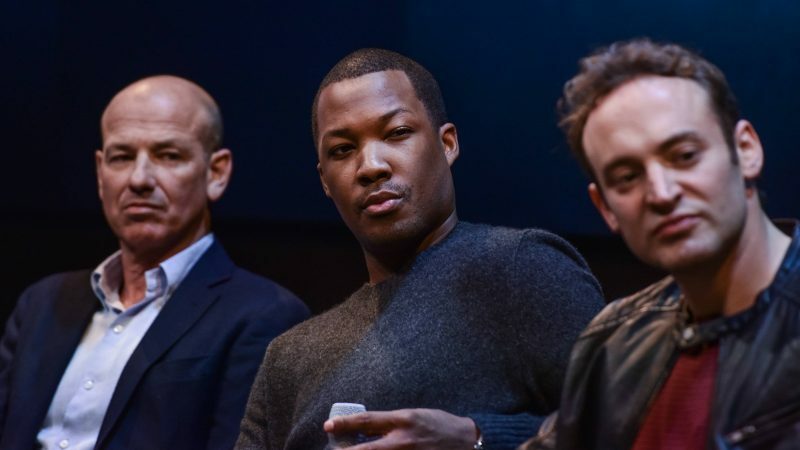 NEW YORK, NY - JANUARY 9: Howard Gordon, Corey Hawkins and Charlie Hofheimer attend a screening and panel discussion of FOX's 24: LEGACY to discuss the upcoming series and how VR is changing the TV viewing experience at Samsung 837 in New York City on Monday, January 9, 2017. 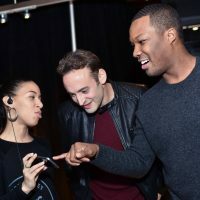 Series stars Corey Hawkins and Charlie Hofheimer along with executive producer Howard Gordon attend a screening and panel discussion of FOX’s 24: LEGACY to discuss the upcoming series and how VR is changing the TV viewing experience at Samsung 837 in New York City on Monday, January 9, 2017. 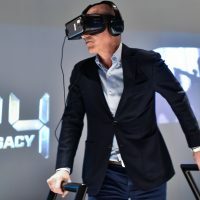 NEW YORK, NY – JANUARY 9: Howard Gordon attends a screening and panel discussion of FOX’s 24: LEGACY to discuss the upcoming series and how VR is changing the TV viewing experience at Samsung 837 in New York City on Monday, January 9, 2017. 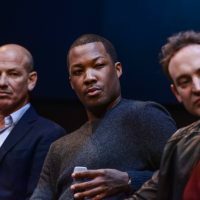 NEW YORK, NY – JANUARY 9: Howard Gordon, Corey Hawkins and Charlie Hofheimer attend a screening and panel discussion of FOX’s 24: LEGACY to discuss the upcoming series and how VR is changing the TV viewing experience at Samsung 837 in New York City on Monday, January 9, 2017. 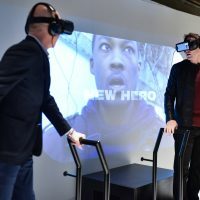 NEW YORK, NY – JANUARY 9: Howard Gordon and Charlie Hofheimer attend a screening and panel discussion of FOX’s 24: LEGACY to discuss the upcoming series and how VR is changing the TV viewing experience at Samsung 837 in New York City on Monday, January 9, 2017. 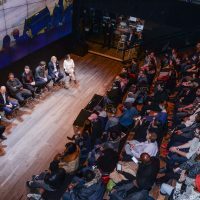 NEW YORK, NY – JANUARY 9: Howard Gordon, Corey Hawkins, Charlie Hofheimer, Henry-Alex Rubin, Freddie M. Frizell and Alisa Tager attend a screening and panel discussion of FOX’s 24: LEGACY to discuss the upcoming series and how VR is changing the TV viewing experience at Samsung 837 in New York City on Monday, January 9, 2017. 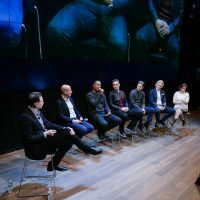 NEW YORK, NY – JANUARY 9: Jarrett Dube, Howard Gordon, Corey Hawkins, Charlie Hofheimer, Henry-Alex Rubin, Freddie M. Frizell and Alisa Tager attend a screening and panel discussion of FOX’s 24: LEGACY to discuss the upcoming series and how VR is changing the TV viewing experience at Samsung 837 in New York City on Monday, January 9, 2017. 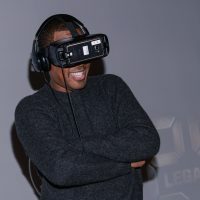 NEW YORK, NY – JANUARY 9: Corey Hawkins attends a screening and panel discussion of FOX’s 24: LEGACY to discuss the upcoming series and how VR is changing the TV viewing experience at Samsung 837 in New York City on Monday, January 9, 2017. 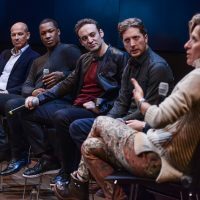 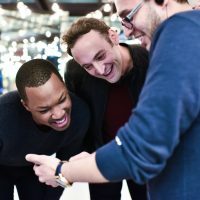 NEW YORK, NY – JANUARY 9: Corey Hawkins, Charlie Hofheimer, Henry-Alex Rubin and Howard Gordon attend a screening and panel discussion of FOX’s 24: LEGACY to discuss the upcoming series and how VR is changing the TV viewing experience at Samsung 837 in New York City on Monday, January 9, 2017. 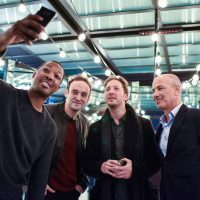 NEW YORK, NY – JANUARY 9: Corey Hawkins, Howard Gordon and Charlie Hofheimer attend a screening and panel discussion of FOX’s 24: LEGACY to discuss the upcoming series and how VR is changing the TV viewing experience at Samsung 837 in New York City on Monday, January 9, 2017. 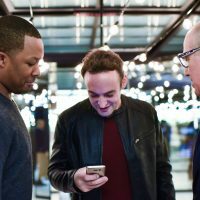 NEW YORK, NY – JANUARY 9: Corey Hawkins, Charlie Hofheimer and Howard Gordon attend a screening and panel discussion of FOX’s 24: LEGACY to discuss the upcoming series and how VR is changing the TV viewing experience at Samsung 837 in New York City on Monday, January 9, 2017. 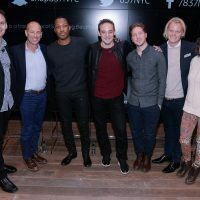 NEW YORK, NY – JANUARY 9: Corey Hawkins and Charlie Hofheimer attend a screening and panel discussion of FOX’s 24: LEGACY to discuss the upcoming series and how VR is changing the TV viewing experience at Samsung 837 in New York City on Monday, January 9, 2017. 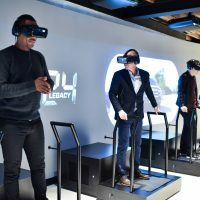 NEW YORK, NY – JANUARY 9: Charlie Hofheimer, Shannon Lucio and Howard Gordon attend a screening and panel discussion of FOX’s 24: LEGACY to discuss the upcoming series and how VR is changing the TV viewing experience at Samsung 837 in New York City on Monday, January 9, 2017. 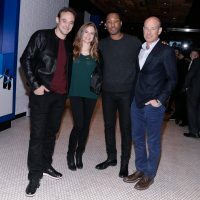 NEW YORK, NY – JANUARY 9: Charlie Hofheimer, Shannon Lucio, Corey Hawkins and Howard Gordon attend a screening and panel discussion of FOX’s 24: LEGACY to discuss the upcoming series and how VR is changing the TV viewing experience at Samsung 837 in New York City on Monday, January 9, 2017. 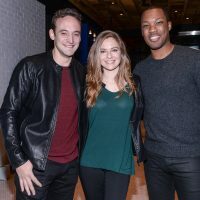 NEW YORK, NY – JANUARY 9: Charlie Hofheimer, Shannon Lucio and Corey Hawkins attend a screening and panel discussion of FOX’s 24: LEGACY to discuss the upcoming series and how VR is changing the TV viewing experience at Samsung 837 in New York City on Monday, January 9, 2017. 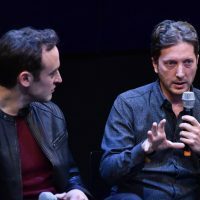 NEW YORK, NY – JANUARY 9: Charlie Hofheimer and Henry-Alex Rubin attend a screening and panel discussion of FOX’s 24: LEGACY to discuss the upcoming series and how VR is changing the TV viewing experience at Samsung 837 in New York City on Monday, January 9, 2017. 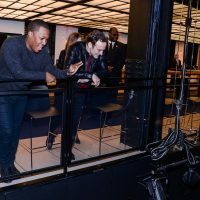 NEW YORK, NY – JANUARY 9: Charlie Hofheimer and Corey Hawkins attend a screening and panel discussion of FOX’s 24: LEGACY to discuss the upcoming series and how VR is changing the TV viewing experience at Samsung 837 in New York City on Monday, January 9, 2017. 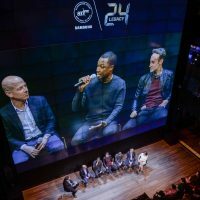 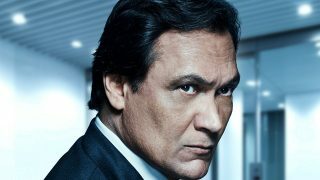 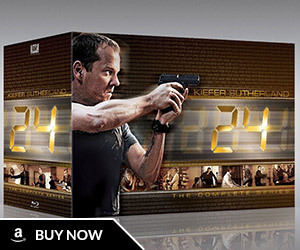 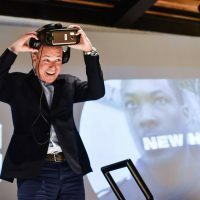 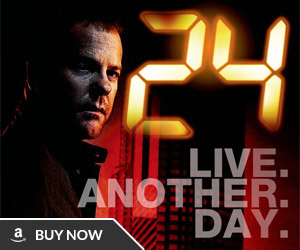 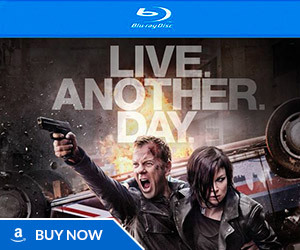 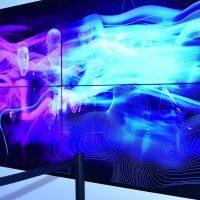 NEW YORK, NY – JANUARY 9: Atmosphere at a screening and panel discussion of FOX’s 24: LEGACY to discuss the upcoming series and how VR is changing the TV viewing experience at Samsung 837 in New York City on Monday, January 9, 2017. 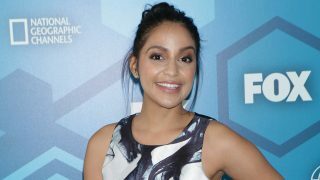 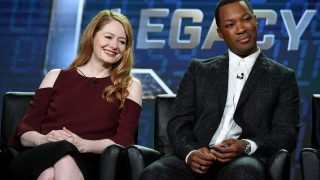 Photos from the 24: Legacy panel at the 2017 FOX Winter TCA at the Langham Hotel, Wednesday, January 11th in Pasadena, CA.